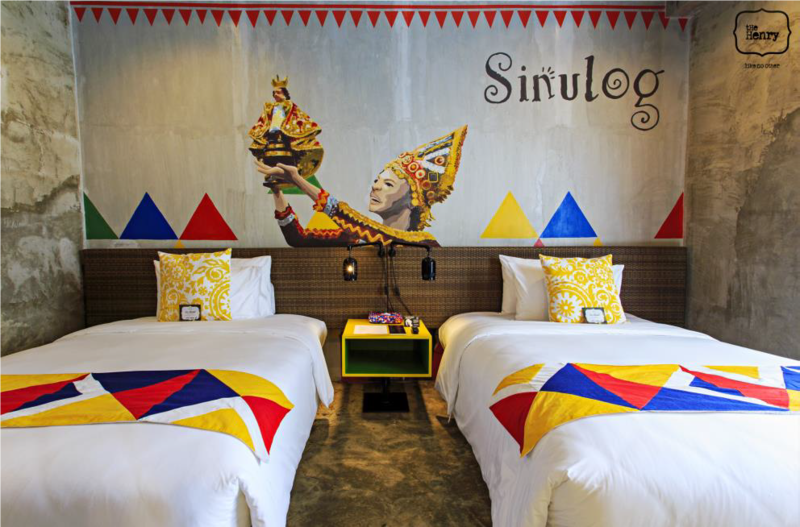 Sinulog festival is just around the corner and what better way to enjoy the festivities than with a hip and offbeat place to stay? The Henry Hotel Cebu is a distinctly great place to jumpstart everyone’s Sinulog experience. Each of the 62 spacious and cozy rooms feature unique décor with every mural and quirky detail distinctly created by young Cebuano artists—Mark Luzon and Mark “Kidlat” Copino. For guests with “big” needs, the Big Nouveau at The Henry Hotel Cebu’s newly opened 24 modern-rustic suites might just hit the ground running. Along with essential room amenities, it features two double beds without sacrificing space in the suite. Each floor at The Henry Hotel Cebu presents a distinct concept: Fiesta Siesta, showcases Philippine fiestas and celebrations; Cool-Ture, a celebration of iconic people in the Philippines; Art Beat, an explosion of colors; and Trance-it, which puts on displays signature Filipino modes of transportation. Join the Sinulog festivities and book your stay at www.cebu.thehenryhotel.com or contact the reservations hotline at (032) 520-8877 / reservations.cebu@thehenryhotel.com. The Henry Hotel Cebu is located at One Paseo Compound, Ma Luisa Entrance Road, Banilad, Cebu City.